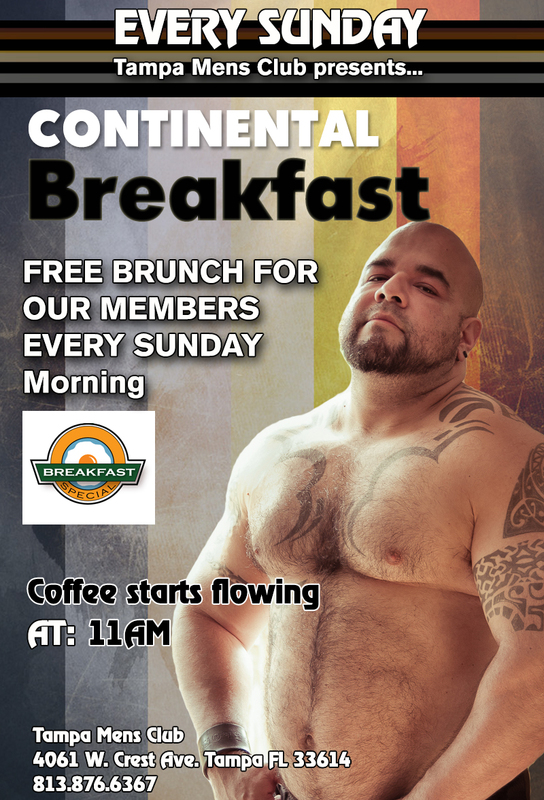 A Free Brunch is served between 10AM - 2PM every Sunday. Brunch starts Every Sunday Morning starting at 10AM TMC is giving you a Complimentary Brunch that includes fresh donuts, snacks, bread baskets, and more. We will also serve coffee, and juice. So, come in, while its HOT!! and enjoy that Saturday night after crowd!